One of the greatest challenges that any small home service business faces is survival. Maybe this is a constant, day-to-day worry or just an occasional concern about where the next order for your services is going to come from, but the risk is still there. In a typical small business, cash may be tight, operating budgets and investment opportunities limited, orders may be hard to find, and suppliers can be demanding payment. If things aren’t going to plan then the business’s survival, and your own livelihood are both threatened. Regardless of whether it is a constant or occasional stress, the fear and risk of failure never completely leave us. So what is the answer? Build a bigger business perhaps? There is no doubt that a competently run “big” business solves many of these challenges by giving access to more funds; more power; greater personal wealth; and increased leverage over suppliers and the market. A position of power is desirable but long-term survival is still not guaranteed. With size, come bigger challenges and more pressure to succeed. But success is not granted forever. Take Microsoft as an example of a “BIG” company who once dominated the software market, leading the way with their Windows operating systems and Office packages, the Microsoft technology stack, and a wealth of other innovative software solutions. Microsoft brought personal computing to the masses both at home and at work. In recent times however Microsoft has been under multiple attacks from the likes of Apple, RIM, Google, general anti- Microsoft sentiment, and the law courts. Today, despite their size and past successes, Microsoft faces the very same challenge that many small home service businesses face; survival. 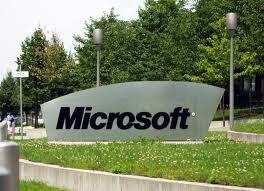 There is an increasing sentiment and expectation that Microsoft will collapse. Maybe not imminently but the warning signs are present. This subject was covered just this week by Business Insider and while their accompanying vision of the future may be somewhat entertaining and implausible, it paints a picture that bigger is not necessarily better. There’s something unique and beautiful about being a small business; you have the flexibility to make decisions that are in your best interests; you are more agile and can respond quickly to changes and customer needs; there is no constant scrutiny from the media and the wider public. And, when the working day is done, your business is just that: it is yours! As a small home service business, what are your thoughts? Posted on December 5, 2011, in Service Proz News and tagged business, challenges, corporation, customer service, service proz, small business. Bookmark the permalink. 2 Comments. I totally agree. We are a small business, full service landscaping company of almost 30 years. When discussing new business with either commercial or residential clients we always present them with the big picture of what the project will look like when it is completed. THEN present the scope of the project to be completed within a three year time frame and that both their and our ideas may change during the process. We propose our projects this way for several reasons, number one is to stay within their budget, that is very important. Number two is that it allows us to give them a much higher quality shrub selection and quality which makes their completed project different and stand out from the surrounding properties, unique as it were. Number three is it allows THEIR input during the process which I have found is great for business. Number four is it always brings us additional business with the client as we are on the property for at least three years. Number five is that it cuts down on constantly looking for new business for two reasons. We are on that property for that time frame and THEY are referring new clients to us and or having us redesign their personal properties. This method allows us to work on multiple properties at one time and not be tied down to one property while another project gets away from us because we can”t get to it. We spend zero an advertising using business cards only and are constantly busy. 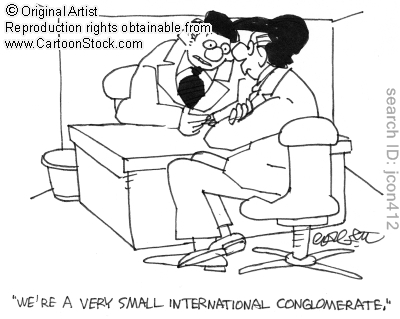 We’re in the residential cleaning business and find that most companies are smaller than us. Small companies have a major problem (besides cash flow). That is that the owners work in the business rather than on it because they have to be involved in day to day operations. This takes them away from looking at their business in an objective way and creating strategies to improve profitability by improving operations. When I look at the cleaning business posts on a site like Linked In, the majority of problems seem to occur because the owners don’t have the time to work at improving their businesses. Granted that growth has its own issues, however those issues can be managed if you have the size to be able to work on the issues of growth rather than being trampled by it.